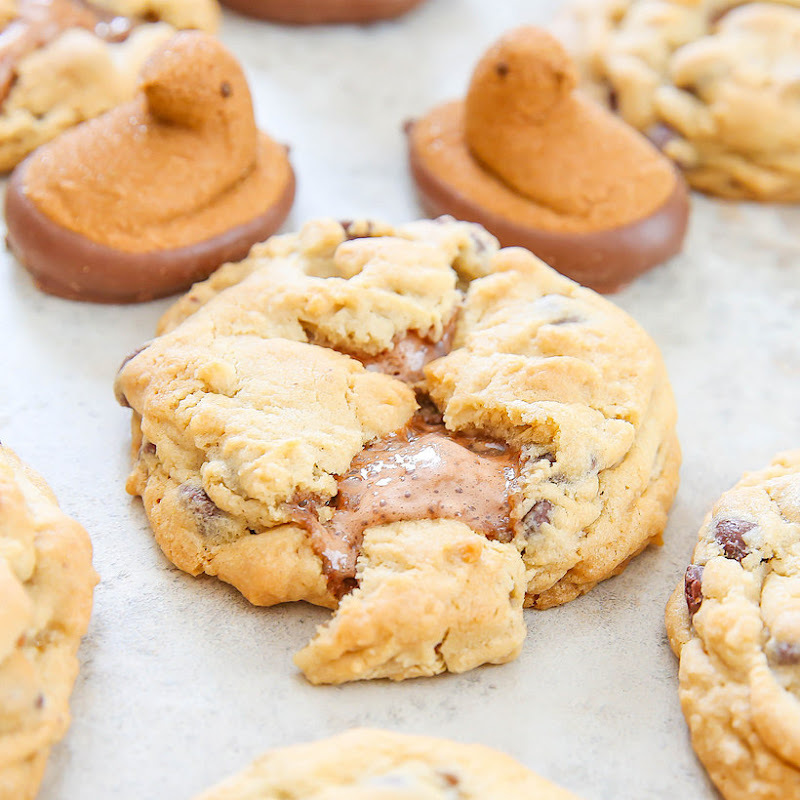 These chocolate chip cookies are stuffed with PEEPS®, creating a delicious gooey, melted marshmallow center in each cookie. 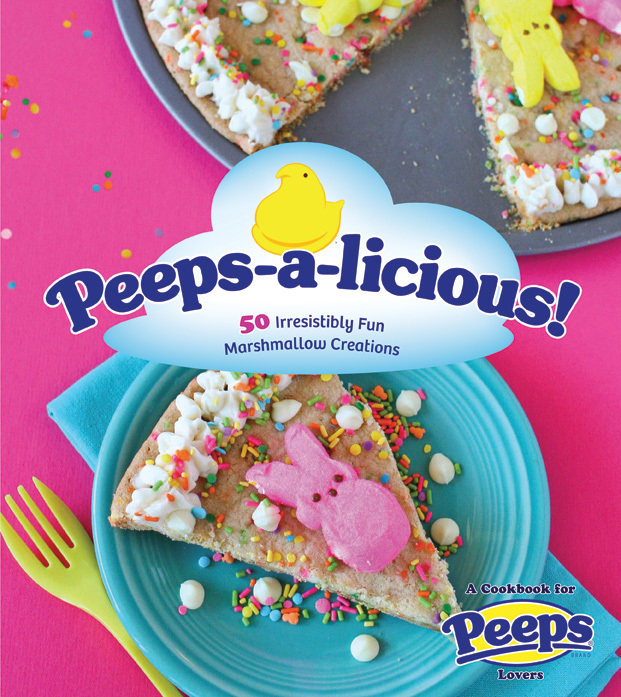 Just in time for Easter, there is a new PEEPS® cookbook, Peeps-a-licious! And yours truly is a contributor to the book. At the end of this post, I’m hosting a giveaway for 5 copies of the book and this is the first giveaway open to everyone, including those outside of the US! 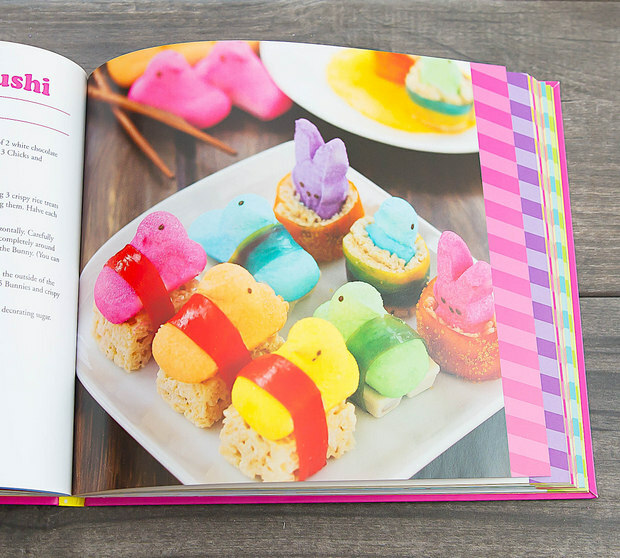 The book features 50 PEEPS® inspired recipes contributed by several bloggers and Just Born, the makers of PEEPS®. I contributed six recipes and photos to the cookbook, so I’m really excited to see it finally come together. I had so much fun contributing to this cookbook. 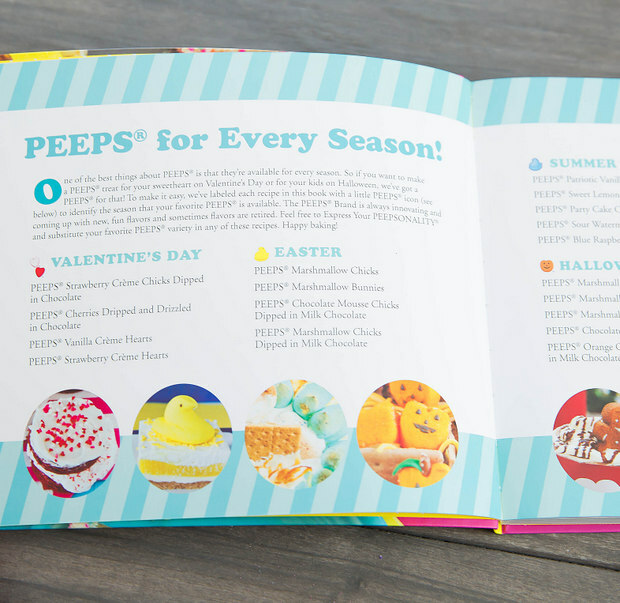 First of all, I got to eat so many PEEPS®! I had no idea the number of PEEPS® variations out there. I mean I’ve eaten all the standard ones and a few limited edition ones, but I didn’t know that there are also birthday cake flavored ones, snowman-shaped ones, and more. Because I was working on so many different holiday and seasonal variations, the photo room in my house became this ever-changing space. One day it would be Christmas in there, another day it was July 4th, another day it was Valentine’s Day, etc. Even though I have my own cookbook, it’s still such a thrill to see my name in another cookbook and to see my photos too! 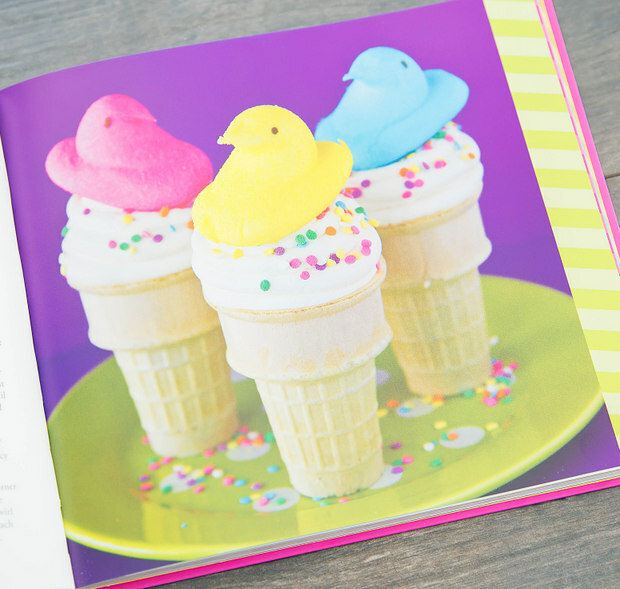 Flipping through the book, I couldn’t stop squealing at some of the images and recipes my fellow bloggers came up with. 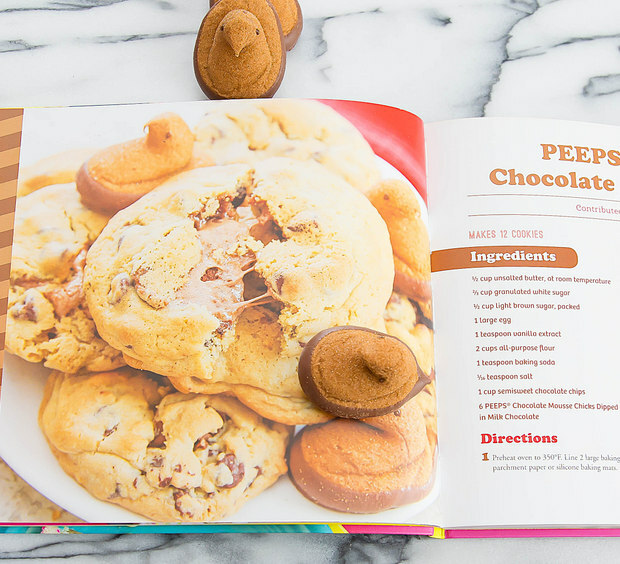 These PEEPS® Stuffed Chocolate Chip Cookies is one of the recipes I contributed to the book. 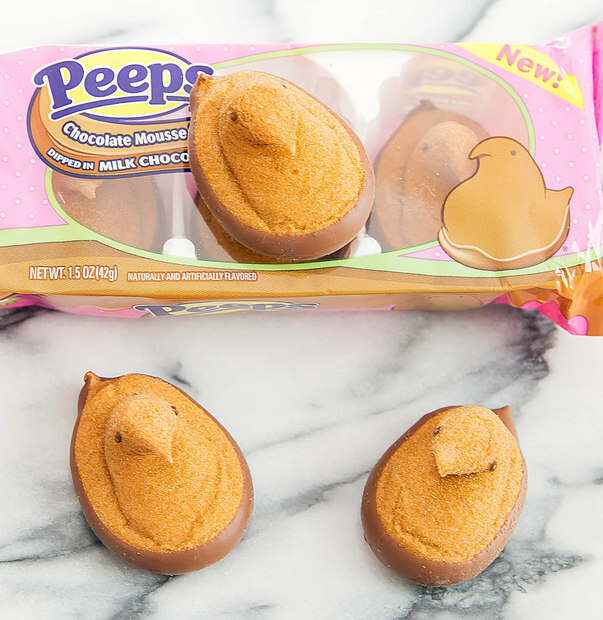 PEEPS® Chocolate Mousse Chicks Dipped in Milk Chocolate were my favorite new PEEPS® discovery. I love the extra milk chocolate coating and it helps create a deliciously melted chocolate center in these cookies. The book is available on Amazon* and other retailers which you can find here. 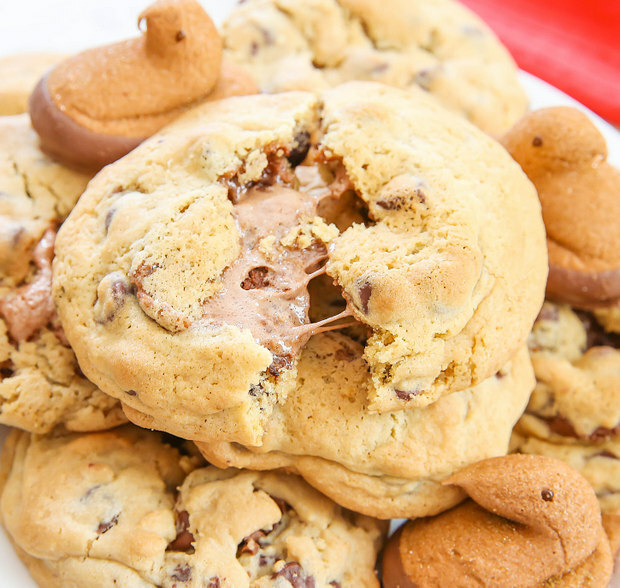 These chocolate chip cookies are stuffed with PEEPS®, creating a deliciously gooey, melted marshmallow center in each cookie. Preheat the oven to 350°F and line 2 large baking sheets with parchment paper or silicone baking mats. In the bowl of a stand mixer, cream butter and sugars until fluffy. Add in eggs and vanilla extract and mix until batter is smooth. Add in flour, baking soda and salt and mix on lowest speed until smooth dough forms. Stir in chocolate chips. Using a sharp knife, cut PEEPS® Chicks into 2 pieces, head and body. Using a 1.5 tbsp cookie scoop, scoop out a ball of dough and gently flatten into a disc. Place a PEEPS® Chick half in the middle. 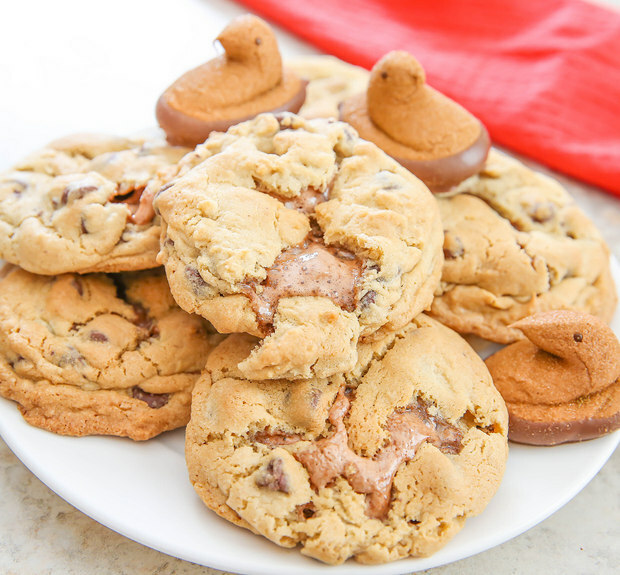 Scoop out another ball of dough with your cookie scoop and place on top of the PEEPS®. 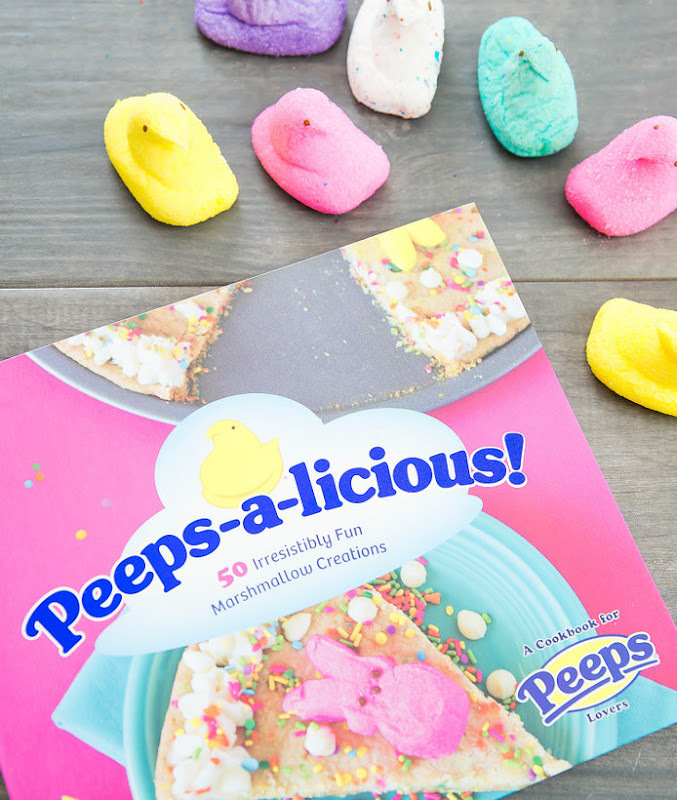 Smooth the dough over the PEEPS® until PEEPS® is completely sealed inside dough ball. Repeat with remaining dough. You should have enough to make 12 cookies. Space stuffed cookie dough balls at least 2 inches apart on baking sheets. 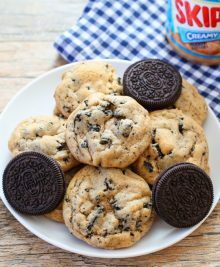 Bake for about 15-18 minutes or until cookies are golden brown around the edges and completely cooked. Let cookies cool before eating. To enter the giveaway, please fill out the information inside the PromoSimple Box. Good luck!